I still find cooking with gluten-free flour very different but I’m slowly finding recipes which I like. 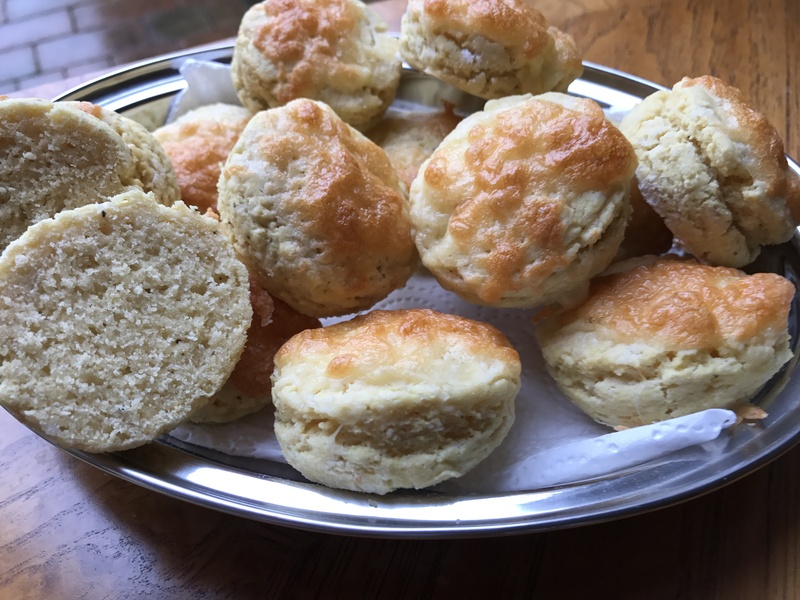 Having made cheese scones for years with ordinary flour, I was determined to create a similar one using flour with no gluten. I sometimes make up my own GF flour but for this recipe I used a bag of Doves Gluten-Free Self-Raising flour which is wheat-free and made from a mix of gluten-free flours. 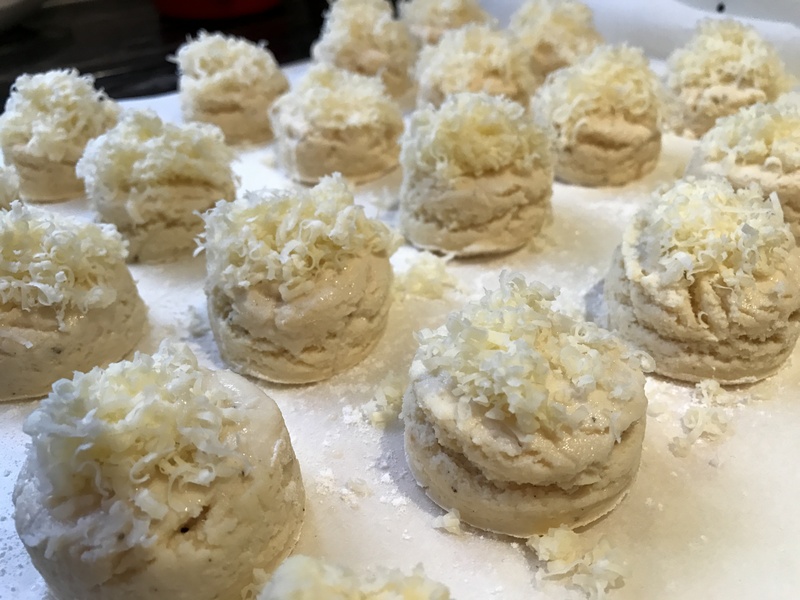 The dough is very light and soft when it comes together but I found by working quickly and patting it into shape on a floured surface, the mini scones came out very well. In a large bowl, combine the flour, salt, peppers, baking powder, and mustard together. Rub in the butter with your fingertips to resemble fine breadcrumbs. Beat the eggs in a measuring jug and add enough almond milk to make 280ml. Pour the liquid into the flour and mix to form a soft dough. Turn out on to a floured surface and bring together and press out to about 2cm in depth. Using a 4cm cutter, press out the scones and place on a parchment lined baking sheet. Lightly brush the tops with a little extra milk and sprinkle with the cheese. Bake at 220°C (200°C fan) for about 15 minutes until the cheese has melted and the scones are cooked through. Leave to cool on a wire rack before splitting open and serving with a spread of butter. NB: All photographs used in this blog have been taken by me, and are of food I have prepared and served myself. This entry was posted in Sweets and Treats and tagged Cheese, Cooking, Gluten Free, Healthy Eating, Recipes, Scones, SR Flour, Vegetarian, Wheat-Free. Bookmark the permalink.